At The Cabin Chiang Mai’s rehab treatment centre, we’ve assembled a top-tier team of Western-trained and licensed alcohol and drug counselling specialists. Our professional rehab counselling team has many decades of combined experience in treating drug and alcohol addictions as well as a range of process addictions. The counselling team is complemented by a team of fulltime medical staff with abundant experience in addiction treatment, comprised of a prominent psychiatrist, several psychologists and 10 nursing staff. Our medical team is onsite 24 hours a day, seven days a week. Staff members are always accessible, because the ratio of clinical staff to clients is one to one, and overall the centre boasts 120 fulltime staff members. As Asia’s leading rehab centre, you can expect the same high level of medical and psychiatric care you would get anywhere else in the world. On top of this, you also enjoy the renowned care and compassion of our Thai staff. Dr Suttipan Takkapaijit is a licensed, board-certified psychiatrist and Thailand’s foremost expert on addiction. 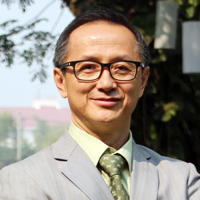 Dr Suttipan’s distinguished 20-year career includes running a private detoxification clinic, serving as Chiang Mai Ram Hospital’s fulltime psychiatrist, and holding leadership positions within the Faculty of Medicine at Chiang Mai University. Dr. Suttipan studied psychiatry at Maudsley Hospital Institute of Health in London. He is a member of the Royal College of Psychiatrists of Thailand, the Psychiatric Association of Thailand, and the Medical Association of Thailand. Lee Vallis is a registered psychologist with the British Psychological Society. He entered the field of addiction during the mid ‘90s, after developing a range of harm minimisation services aimed at curbing transmission rates of HIV and Hepatitis in the UK. 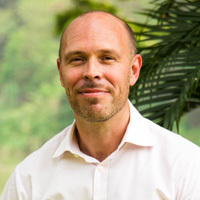 Lee commenced his training as a psychologist in 2001 by studying Behavioural Science at Anglia Ruskin University before undertaking postgraduate training with the Open University. After that, he went on to specialise in Addiction at the University of Bath. A keen academic and researcher, Lee has worked in a broad range of national and international therapeutic settings. He has delivered high-quality substance misuse treatment for both charitable organizations and private facilities, including The Priory in the UK. 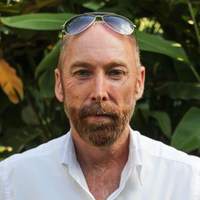 As an advocate of the clinical applications of group therapy in the treatment of addiction, Lee has worked in private practice to both increase the availability of group therapy in the UK and to enhance the clinical competencies of therapists. He has done this by providing clinical training and supervision in the delivery and analysis of Group Therapy. In his work with clients at The Cabin, Lee specialises in the delivery of cognitive behavioural therapy and dialectical behaviour therapy. His clinical interests include the development of effective treatment interventions that both deliver clinically effective outcomes and enduring positive change in clients’ lives. Click here for a complete listing of The Cabin’s team members.